Kitchen countertops are now all the rage. Caring homeowners focus a great deal on the designs of their kitchens, but with so many options on the market it can be difficult to understand what is available. Here is a short guide to trendy kitchen counters and what they have to offer. The advantages of going with a ceramic counter are vast: colors and textures are endless while installation is affordable and fast. On the other hand, ceramic counters require some continual upkeep and may require replaced segments down the line—though again, at a reasonable cost. The organic look of stone is both tasteful and refined. It is a more expensive option, but the money spent on purchasing goes toward improving the overall value of your home. Stone is very durable—able to stand firm against cuts, dings and impressive heat. Any weathering that does occur can be corrected with professional polishing. Steel kitchen countertops offer a modern, sleek look. They are easy to clean, resistant to heat and virtually impossible to stain, which makes them a practical choice for those with especially busy lifestyles. Unfortunately, scuffs will show overtime, but the overall practicality and affordability of this option draws buyers in at impressive numbers. A less expensive alternative to granite, quartz or marble surfaces, solid countertops are a popular choice. Solid surfaces are usually made from acrylic or other impermeable materials and comes in a plethora of styles to suit your needs. On the downside, they are extremely susceptible to burns or cuts but reasonable price tags make them hard to resist. Butcher block counters are well-liked for their rustic, earthy ties. As a natural material, wood countertops behave fluidly—susceptible to kitchen damage but easily sanded and shined for a new finish. The downside to wooden construction is that it is porous and may prove difficult to clean if not expertly sealed from the beginning. Regardless of the direction you take for your kitchen countertops, remember that professional installation is the key to longevity. 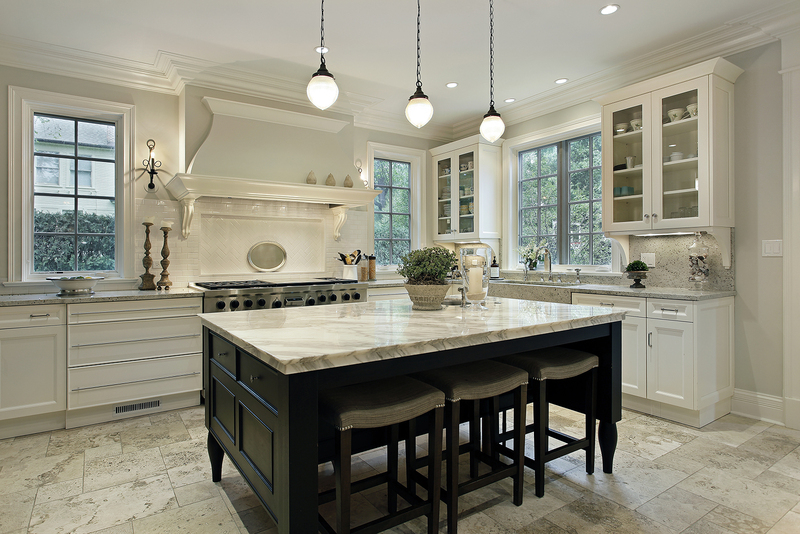 Invest in the piece of mind that your counters are installed correctly, saving you money and time in the end.